Great Opportunity to own this home! Nestled in the hills of Northridge, this home features a dramatic entry w/ spiral staircase, vaulted ceilings for ample natural light, hardwood floors, crown molding and 3 dual-sided fireplaces. Gorgeous updated eat-in kitchen w/ large center island, custom cabinets, gas range, SS appliances, desk & generous walk in pantry. Master bedroom retreat features spacious master bath w/ dual vanity, step in shower, jetted tub & large walk in closet. Second story bedrooms incl a convenient en suite bedroom plus two other spacious bedrooms, full guest bath & ample storage cabinets. Perfect entertaining backyard w/ beautiful pool & spa, multiple patio & grassy areas, mature trees and the privacy of no rear neighbors. Wonderful community amenities incl Jr Olympic sized pool, spa, clubhouse, tennis & basketball courts & large picnic area. 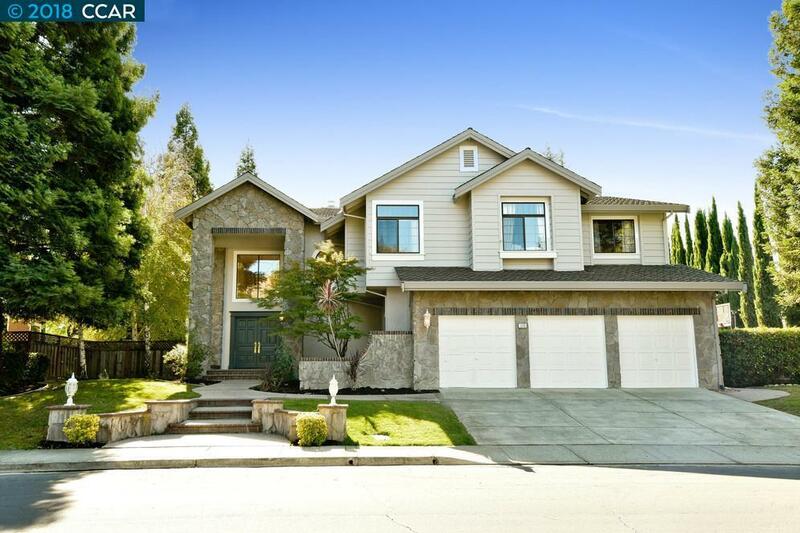 Beautiful hiking trails & walking distance to Sycamore Elementary & Park & Blackhawk Plaza.